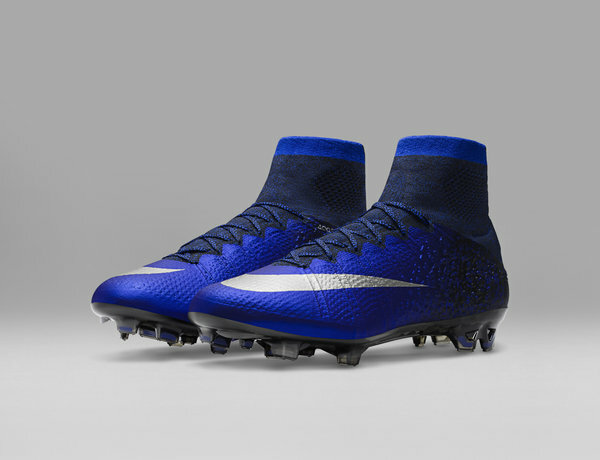 These are specially designed Mercurial boots, with each edition inspired by a milestone in Cristiano Ronaldo’s life and career. 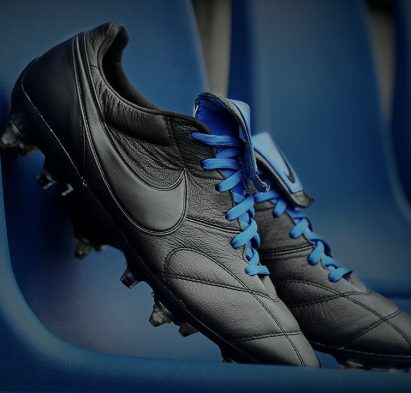 Let’s take a look back at each of these football boots and what they mean to the greatest footballer of all time. 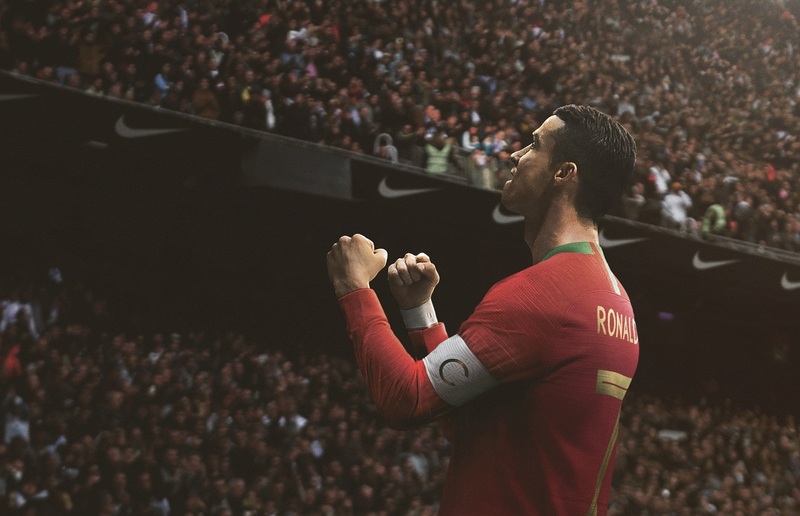 The first CR7 installment takes its cues from a place that’s close to Ronaldo’s heart – Madeira. 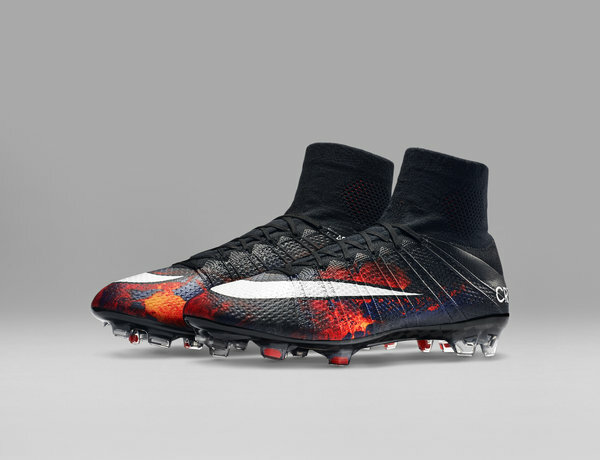 The intricate lava print displayed on the boot is inspired by the volcanic Portuguese island where he was born. 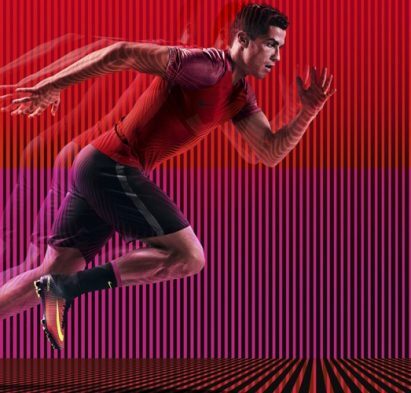 Designed in collaboration with artisans in Montebelluna, Italy, the vibrant, colourful graphic flows from heel to toe to represent Ronaldo’s speed. 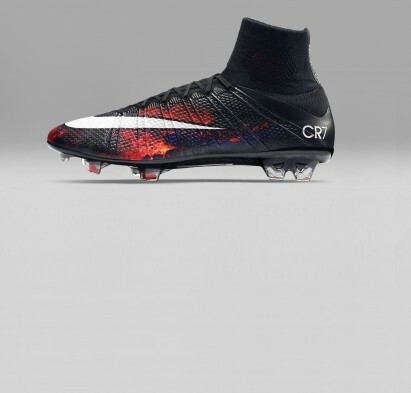 A small white CR7 logo appears on the outer heel, while an iridescent white Swoosh completes the boot. 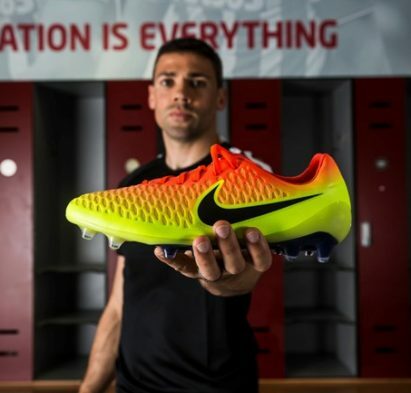 Memorable Moment: Ronaldo wore these boots when he broke the record for the most goals scored in the group stage at the UEFA Champions League with 11 goals. The second edition is inspired by Ronaldo’s move away from home as a child to pursue his dreams of becoming a football legend. These football boots were actually Nike’s first Mercurial to feature a textured heel, which makes it look rocky and rough. 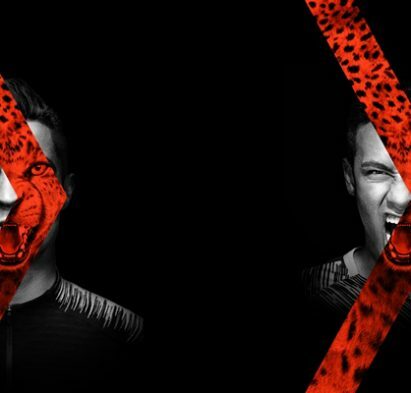 This design is meant to represent Ronaldo’s early years away from home when he was refining his talent. As the boot transitions to the forefoot, it smooths out to represent Ronaldo’s onward journey and development. 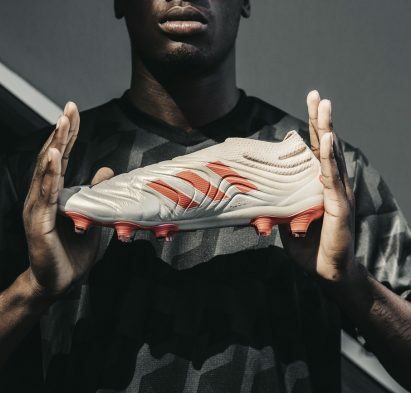 Memorable Moment: These boots debuted in the spectacle that is ‘El Classico’ where Ronaldo scored a goal to lead Madrid to a massive win against Barcelona. On August 6th, 2003, 18-year-old Cristiano Ronaldo played for his Lisbon club for the very last time after being discovered by Manchester United. That fateful match, later dubbed “The Discovery”, changed his career and the history of football forever. 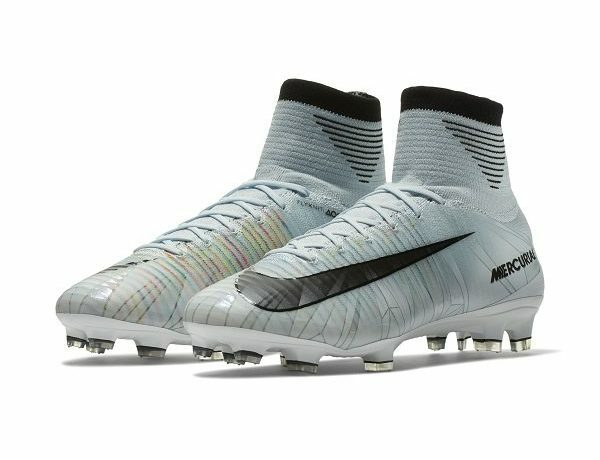 These Third Chapter boots showcase a modern rendition of his original team’s colours, while silver dots and a reflective wave graphic pay tribute to the Mercurial Vapor I boots Ronaldo wore that game-changing year. Memorable Moment: The numbers 06, 08 and 03 (day, month, year) are etched on the heel to commemorate the date of that incredible game. Alex Ferguson signed Ronaldo to Man United, and he made his debut for the team just 2 days later. Cristiano Ronaldo arrived in Manchester, England on On August 12, 2003 to join his new team. He had originally worn the number 28, but his new manager had different plans in store. This fourth iteration is inspired by the next few years, where he adopted the number 7 and completely transformed his career. 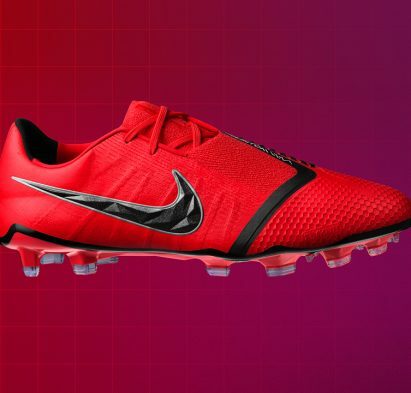 These boots are made to resemble a hot iron being forged into shape, with molten orange and red gradients on the plate fading into the metallic, colour-shifting upper. 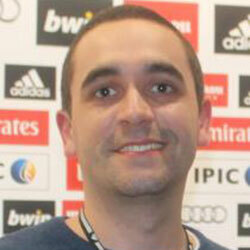 The CR7 logo features a prominent 7 against tonal CR lettering to highlight his shift from number 28 to number 7. 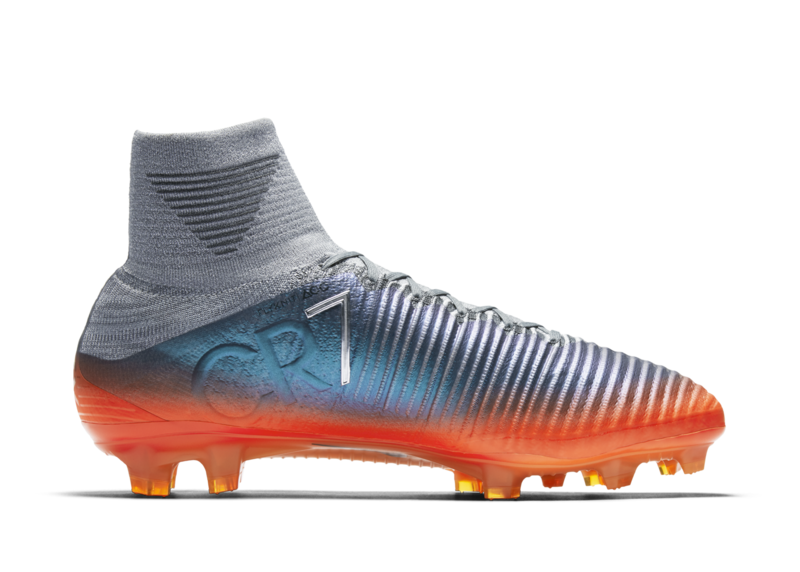 Memorable Moment: Ronaldo wore these boots when leading Madrid to demolish Bayern Munich in 2017 by scoring hattrick in the Champions League quarter finals. 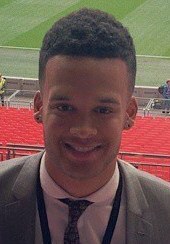 This hattrick also made him the first player in history to score more than 100 goals in the competition. Since moving from Manchester to Madrid, Ronaldo’s brilliance on the pitch has shone like a diamond, and that’s what inspired the Fifth Chapter. The diamond-inspired graphic sits atop a white base that glistens under the lights, while multi-color knit details mirror the array of hues refracted by diamonds. 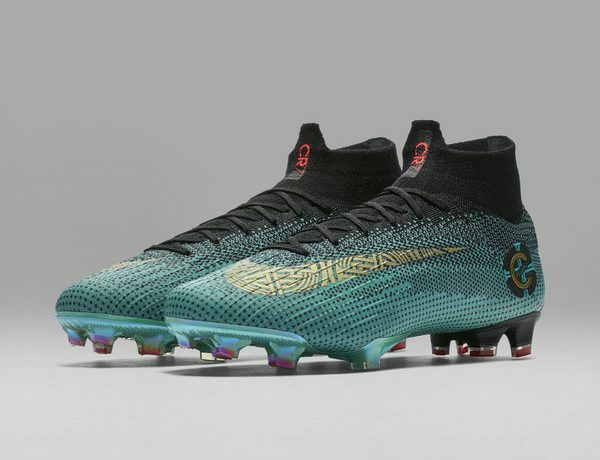 The heel reads “El Sueño Del Niño”, which means “the dream of the child.” These were the words Ronaldo used to describe how he felt about joining his new team. Memorable Moment: Ronaldo wore these boots throughout the year Madrid won La Liga and Champions League in the same season, which was an epic achievement in his football career. Through thick and thin, Ronaldo has undoubtedly made a positive impact through his leadership. The sixth Chapter focuses on Ronaldo’s role as the captain of his national team, using Portugal’s traditional colors. The pattern in the Nike Swoosh gives a nod to Portugal’s history of exploring the seas, and a raised “C” lies atop a small sphere graphic. 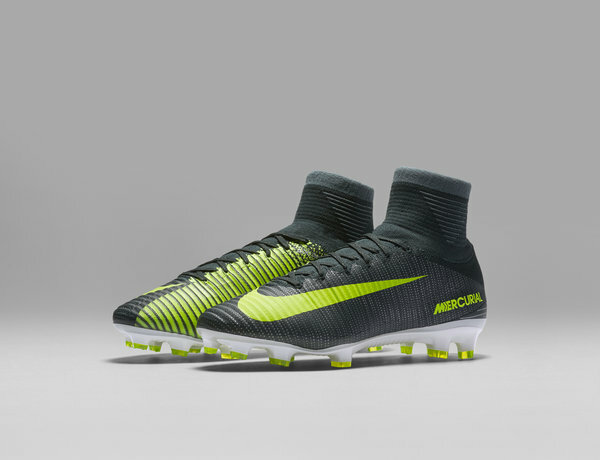 The black in the collar blends into a jade green, making these the first Mercurial football boots to feature more than one knit colour. 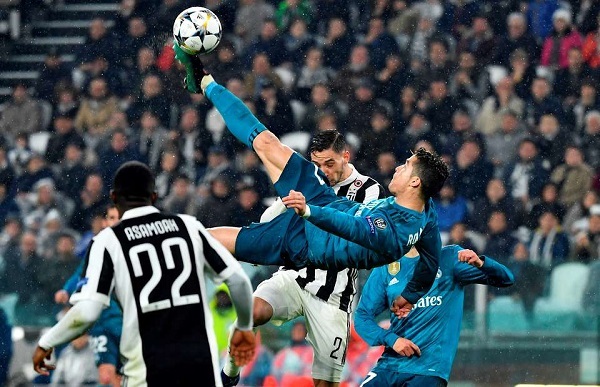 Memorable Moment: While wearing these boots, Ronaldo scored the infamous overhead kick in Turin against Juventus in the Champions League quarter final. This epic play earned Ronald a standing ovation from all fans, including the home Juventus supporters. The Nike CR7 Chapter 7 has just launched and is now available online and in store at the Boot Room. What records will be broken by the Portuguese superstar in the final chapter?